First impressions matter. 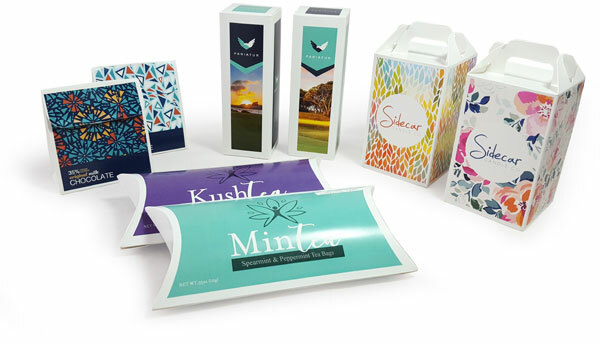 Does your promotional packaging leave an impact? 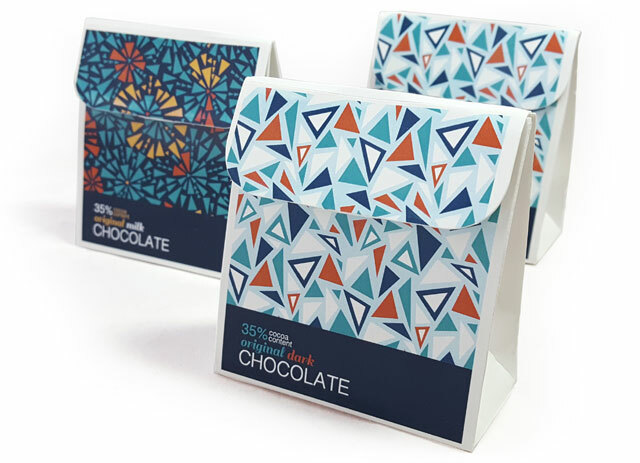 We print your artwork, which can be personalized for each customer, on Invercote. Invercote is a special, paperlike material that is very lightweight, but tough, and has a love affair with ink so your artwork prints with art-gallery quality. We perforate the Invercote with shapes for your box and add peel-and-stick tape (called Kleen Stick) at the right spots. 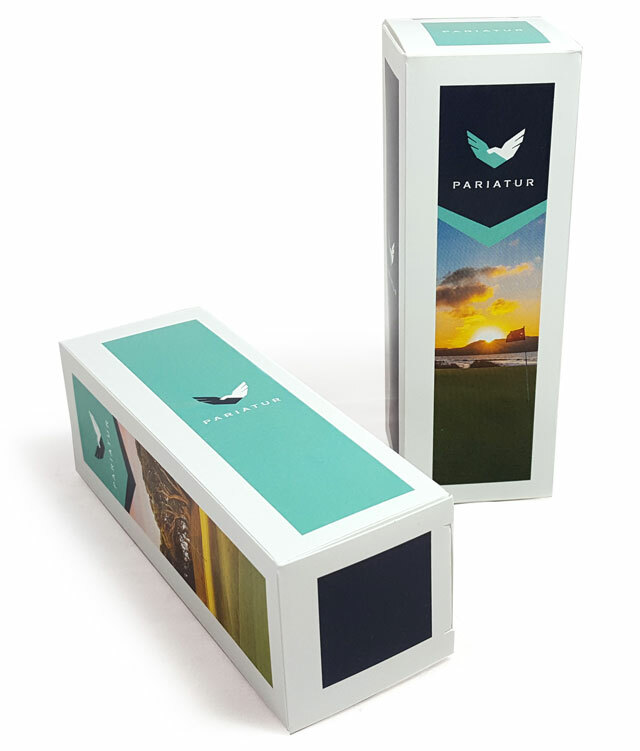 We ship the boxes flat, all you have to do is fold them into the perfect customized package. 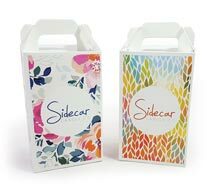 Tote - 2.4" x 2.4" x 5"
Tuck Top - 1.687" x 1.687" x 5"
Tab - 2.875" x 1.438" x 3.25"
Business Card - 3.563" x 2.125" x 1.438"
Pillow - 6.25" x 3" x 1.25"
Fast turnaround time: we can print, proof and ship your boxes within 7 days. Test multiple versions: A/B test versions of your artwork, logos and more. Personalized artwork: Change artwork, text and designs based on customer data. Affordable: designed for short runs, you can create unique packages that hit budget. 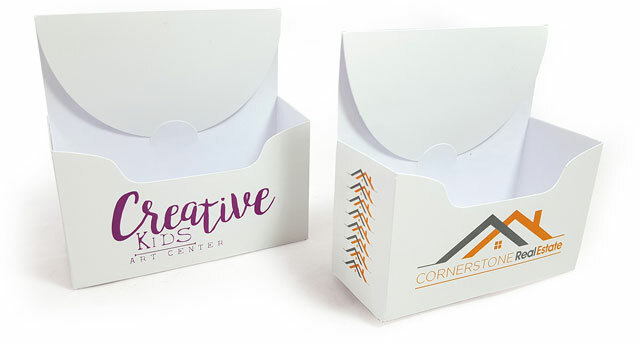 Print a promotional box that has a customer's name right on the box. PFL uses your customer data to trigger necessary changes in artwork, text or the entire design. 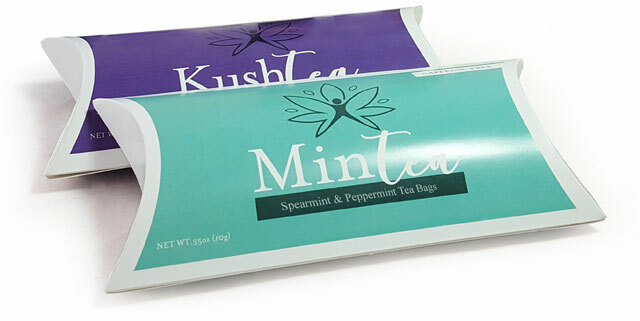 Change text on packaging to reference customer names, birthdates, and other details. Swap out images based on customer preferences, past purchases, or any other type of data. Change the entire art file for the packaging based on demographics, geography and more. 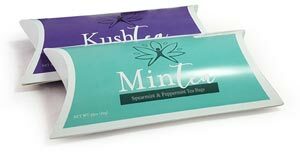 Promotional packaging is a critical piece of the marketing mix. Package is one of the first impressions you make on a customer. How it looks and feels changes their impression of what's inside. 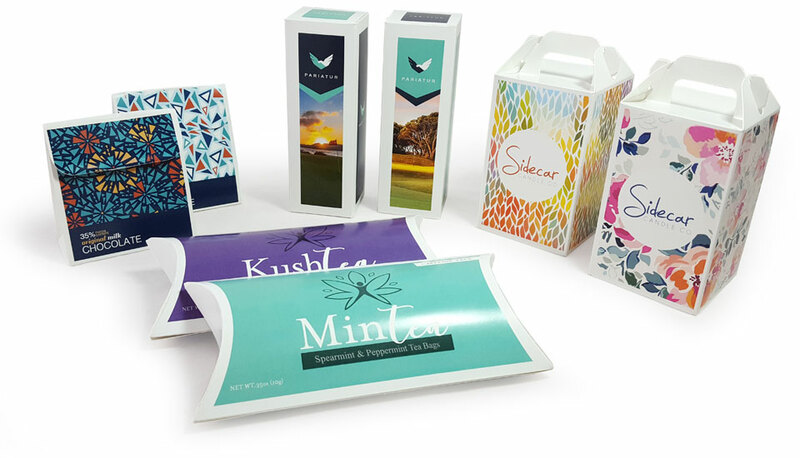 PFL thinks small and medium sized businesses should benefit from great custom packaging that's highly personalized and feels great in the hand. 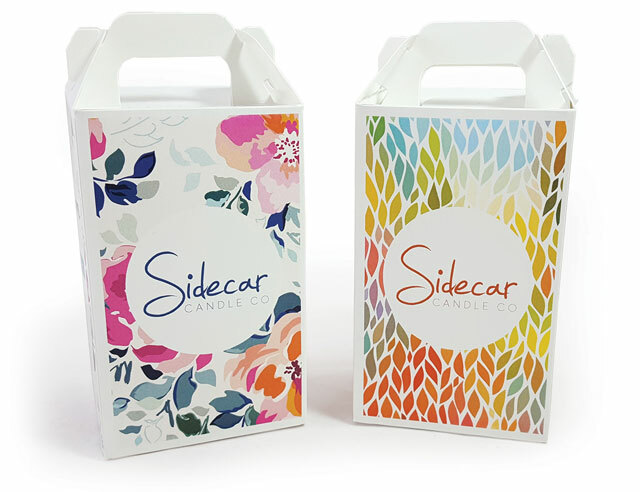 That's why we're proud to offer our custom boxes for promotional packaging made just for small orders. 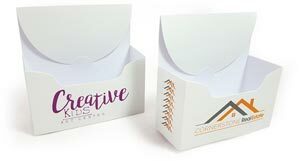 Give us a call and get your packaging ready for your next event. Contact us now for custom Promotional Boxes that work for you, 800-­930-2423.